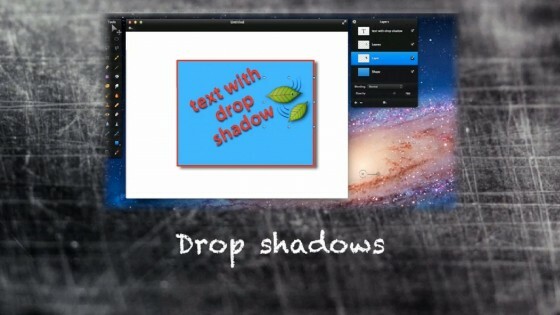 Browsing the Pixelmator forums and following the Pixelmator users on Twitter I discovered that there are some people who would like to know what the deal is with drop shadows in Pixelmator. So this tutorial podcast episode is aimed to cover the different ways you can create drop shadows in Pixelmator. 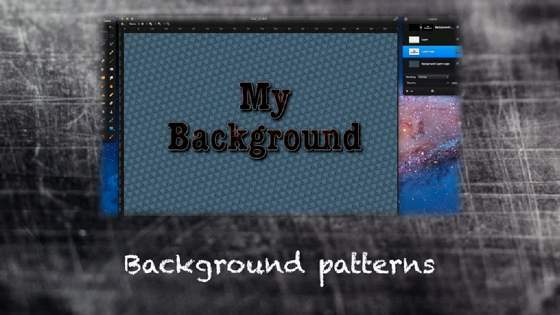 This week we are going to get creative by using an existing image to create a background pattern. Any image can be used for this but you’ll have to take into account what colours are present in your image. Images with a lot of different colours give a busy result while images with a less different colours often make a more gentle background. 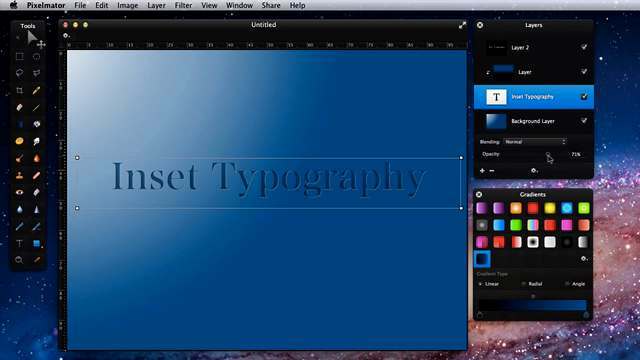 In this Pixelmator tutorial I’m going to show you a very simple technique to create a typographic portrait. I had been trying to get an effect like this, but couldn’t get a good result until I found a GIMP tutorial by Pushkar Gaur which I have adapted here.